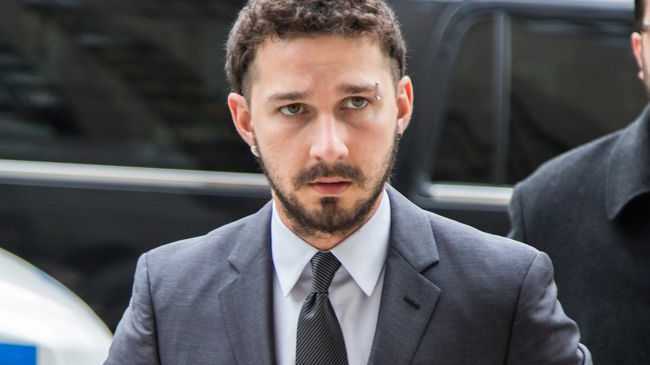 SHIA LaBeouf is encouraging members of the public to phone him and "touch his soul". The 29-year-old actor's latest performance art project involves him setting up his own call centre in Liverpool's Fact gallery, where he and his two collaborators will take calls as part of the #TouchMySoul exhibition. Shia and his fellow artists, Nastja Sade Ronkko and Luke Turner, will be taking calls until Sunday (13.12.15) and can be reached on 0151 808 0771. The entire thing is being livestreamed while people can visit the gallery to watch the exhibit live. The exhibition's description on the Fact website questions: "In a world where we use Instagram and Twitter 'likes' to assess who and what is important, and fame is just a click away, what impact is the internet really having on how we think about ourselves and those around us?" Shia revealed he was encouraged to try performance art by 'Nymphomaniac' director Lars von Trier. He told The Guardian: "The guys I always looked up to - Daniel Day-Lewis, Sean Penn - I loved the myths I heard about how their performances were created. I thought, 'Oh man, it would be great if you could see the process, you'd enjoy the performance a bit more'. That's why I turned to performance art, because it's just about the process. It's all aired out." In February Shia launched #IAMSORRY in Los Angeles, where he sat silently in a gallery with a paper bag on his head, bearing the words "I am not famous anymore", as members of the public visited him.